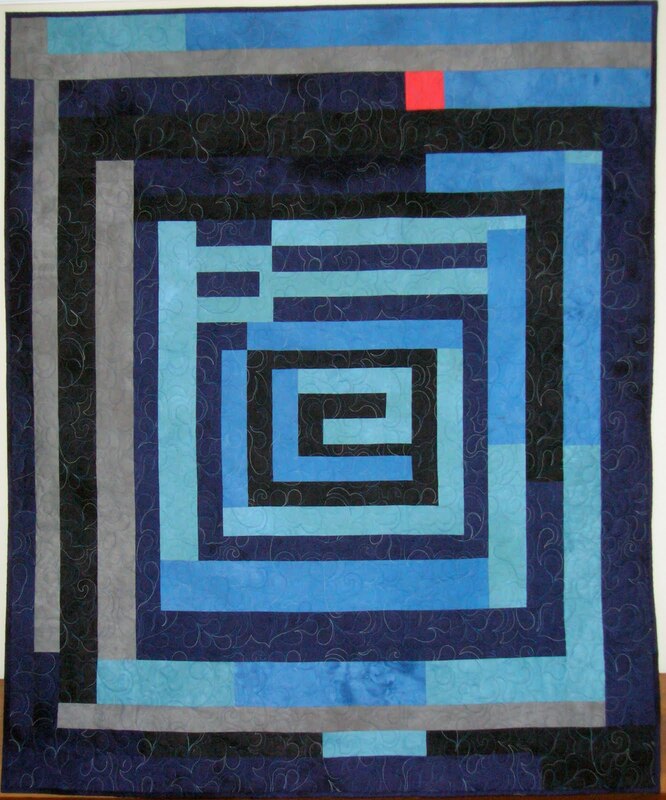 A friend is having knee replacement next week and I knew I needed to give her a quilt. I showed her pictures of 6 and she chose my Hexagon Wreath and Stars. 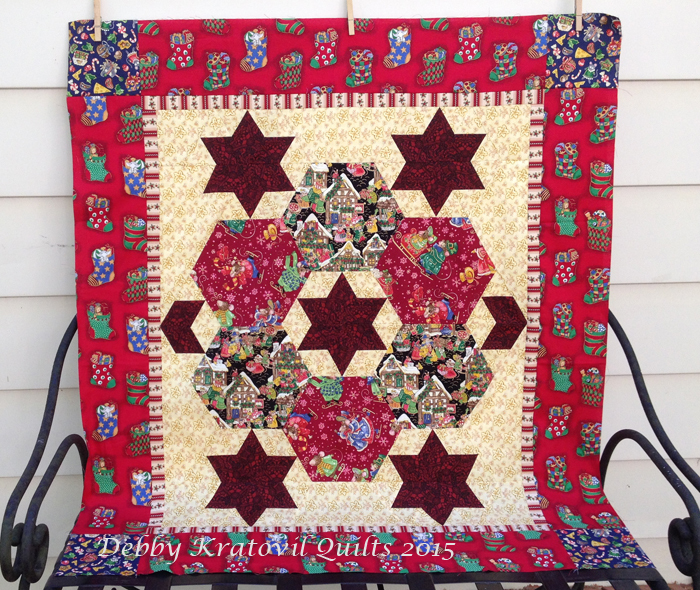 Though it's not big enough to snuggle under, she likes it because it is in the colors of her living room! 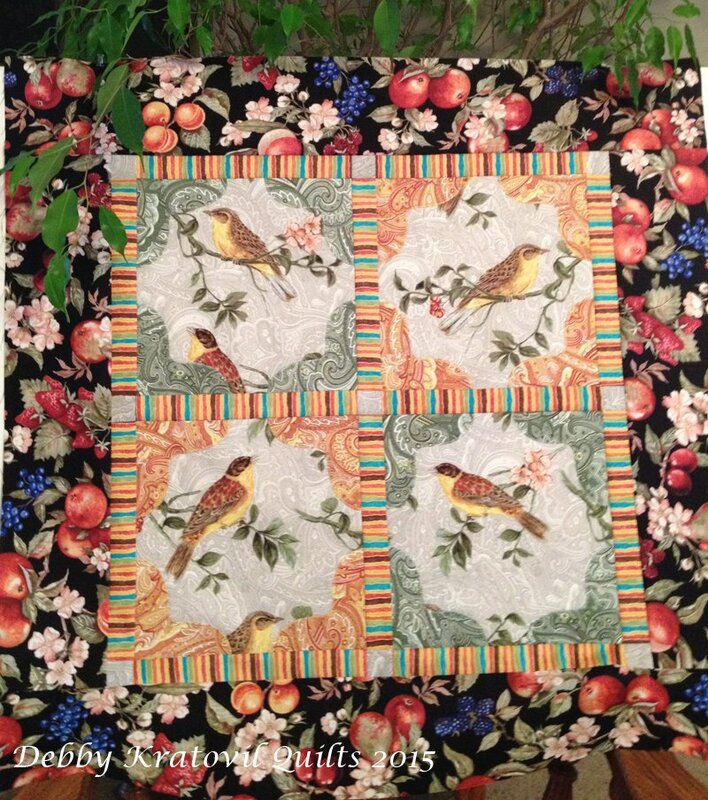 I put a hanging pocket on the back, so Sally has the option of putting it on her wall after she puts it on her lap while convalescing. 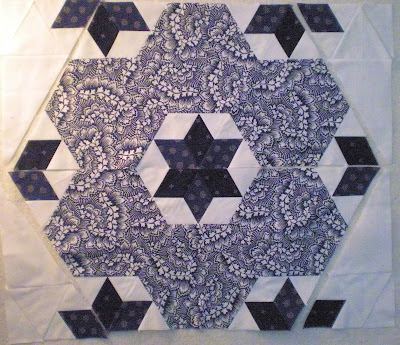 Hexagon Wreath and Stars: 39" x 43"
I patterned this for Creative Grids a few years ago. And, believe it or not, there are NO y-seams. Can I show you a few process shots? As you can see, everything radiates out of the center. Again, no y-seams! 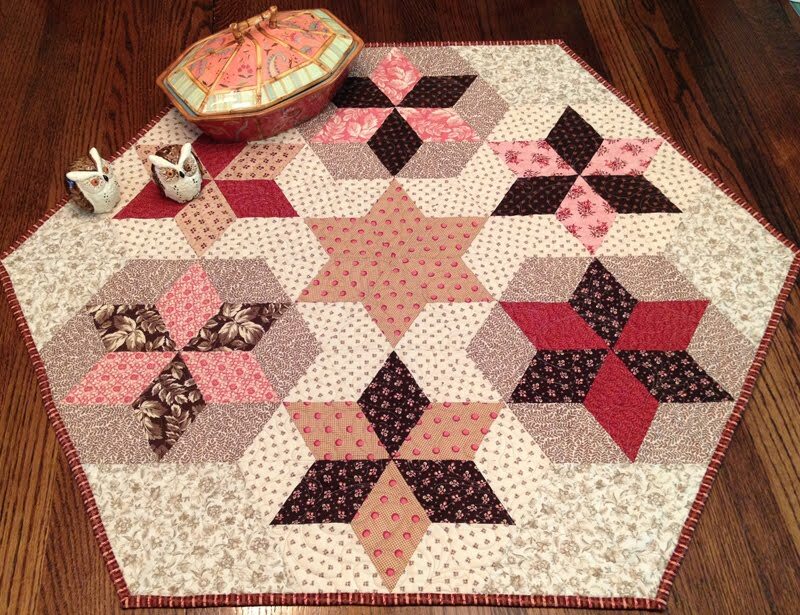 3 each of the units above are stitched into a VERY LARGE half hexagon. 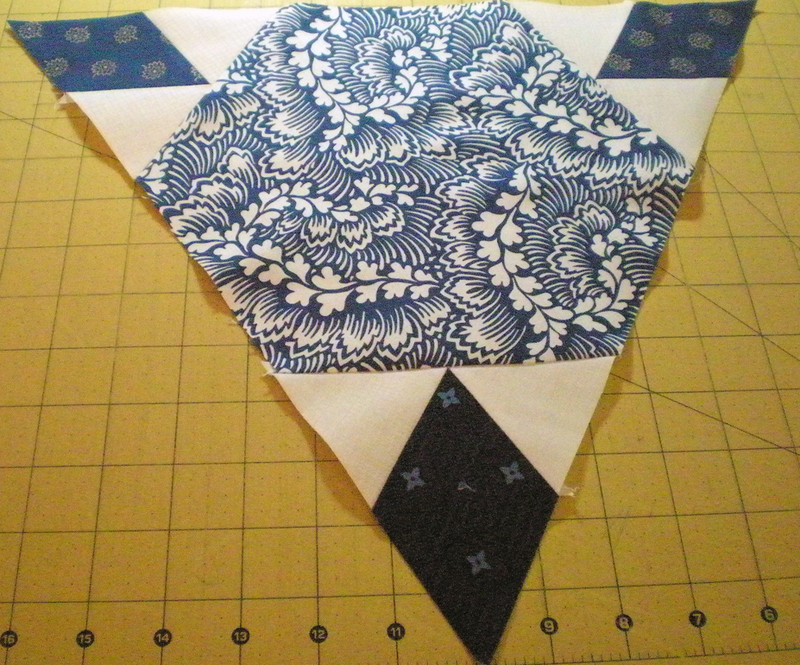 Then the two halves are stitched together and the outside pieced setting triangles are added. 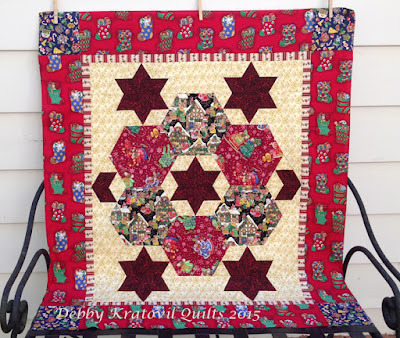 I think I may quilt this one soon so it's around when my grandkids come to visit for the holidays. 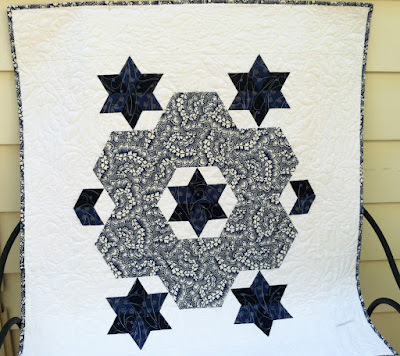 This is a pattern in my Craftsy shop. It does require that you have a multi-sized, 60 degree ruler (you know you have one!) The 7 page pdf pattern has a line drawing chart for you to plan your fabrics. And very clear piecing directions on the sequence of how to put the units together. And how to use your 60 degree ruler to cut: hexagons, half hexagons, and the 30 degree side triangles. You cut the 60 degree diamonds with your regular acrylic ruler using those mysterious 60 degree diagonal lines (NOW you know what they're there for). There is no need for templates! 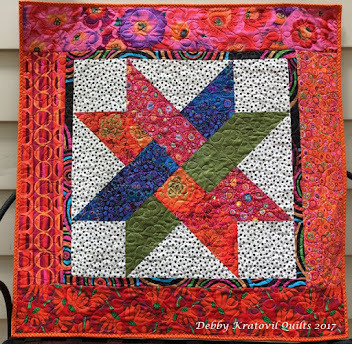 I still have a box with the leftover parts from the Christmas quilt. They are calling me today. It will be fun to play around and see if I can come up with something else. I'll keep you posted! 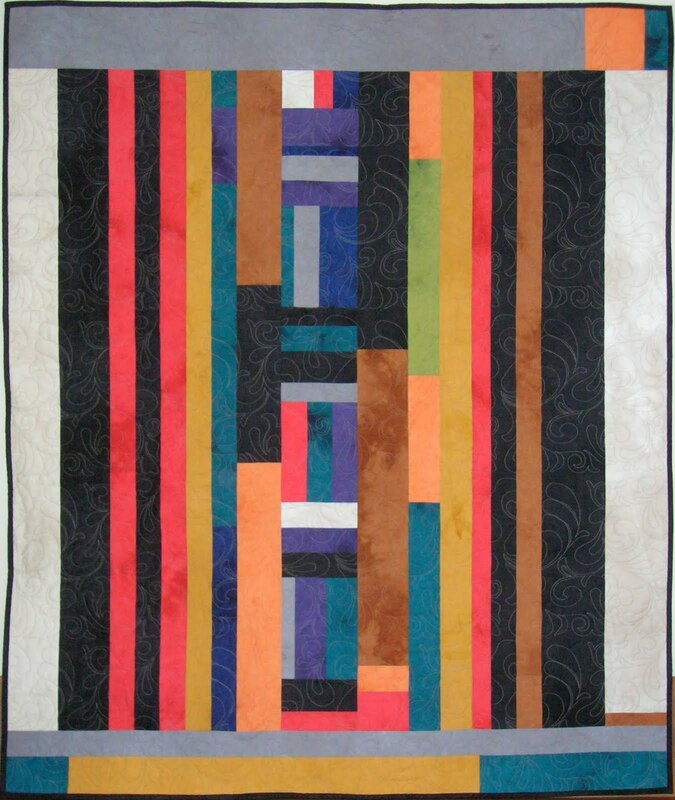 This quilt was a "sleeper" for years. 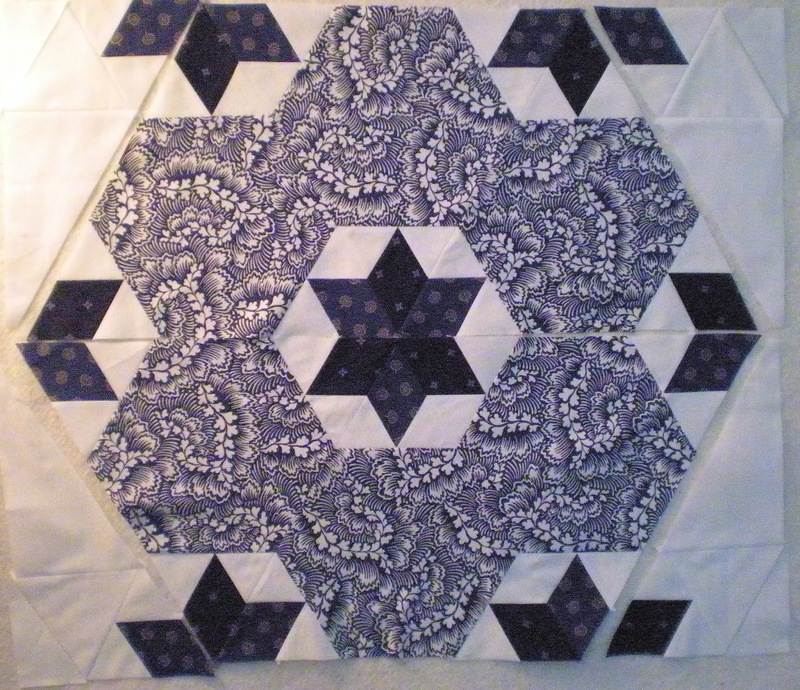 I was doing hexies before they became vogue. So glad you enjoyed seeing these. Knee replacement! Her first. My husband is going for his second in December. After the first few days, you finally feel that you're back in the "land of the living." Thanks for stopping by. Stunning.Your friend will be very excited with it and hope she has a speedy recovery!! Thanks for the kind words. Sally will be fine after the first few days. 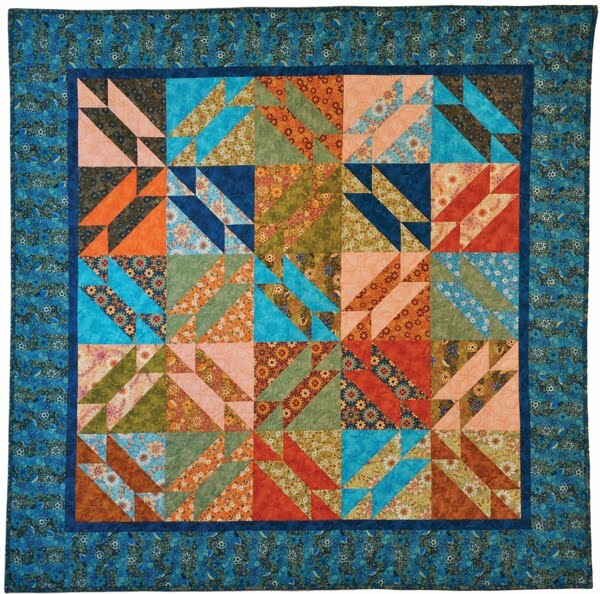 A quilt always makes things go better, right?